The Department of Agriculture will provide one-to-one assistance between Wednesday, March 25 and Tuesday, March 31 at its offices in Portlaoise, to help people who may be experiencing difficulty in completing and submitting online applications under the National Reserve and Young Farmers Scheme. The closing date for receipt of online applications for the two priority categories of ‘young farmer’ and ‘new entrant’ under the National Reserve is March 31, 2015. 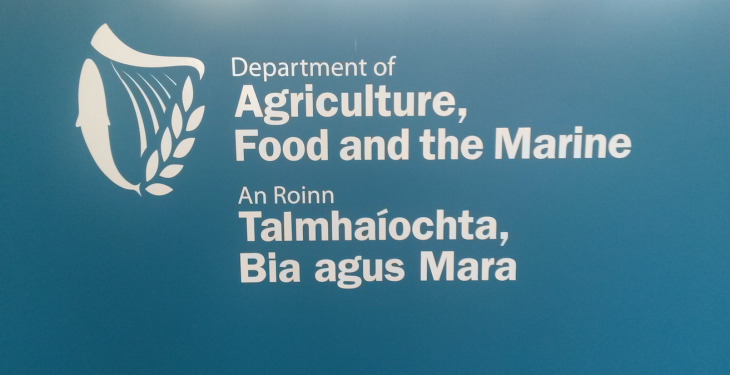 As there may be a small number of farmers who are experiencing difficulty in submitting their application and supporting documentation online, the Department will endeavour to facilitate these farmers by providing assistance to complete the online application. Department officials will be available at Government Offices, Old Abbeyleix Road, Portlaoise from Wednesday 25 to Tuesday 31 from 9.30am to 12.30pm and from 2.00pm to 5.00pm. This service is being made available to individual farmers who hold a registered herd number and are also registered for online services with the Department. In order to best manage the service and to avoid potential unnecessary delays, prospective applicants who wish to avail of this service should contact Lo Call: 0761 064 446 to agree an appointed time for their visit. • All supporting document as required under the Terms and Conditions of the National Reserve and Young Farmers Scheme.